Will not fit (Saginaw) close ratio P/S with 825 power steering box. Not legal for sale or use in California on pollution controlled motor vehicles. Not legal for sale or use in California on pollution controlled motor vehicles. 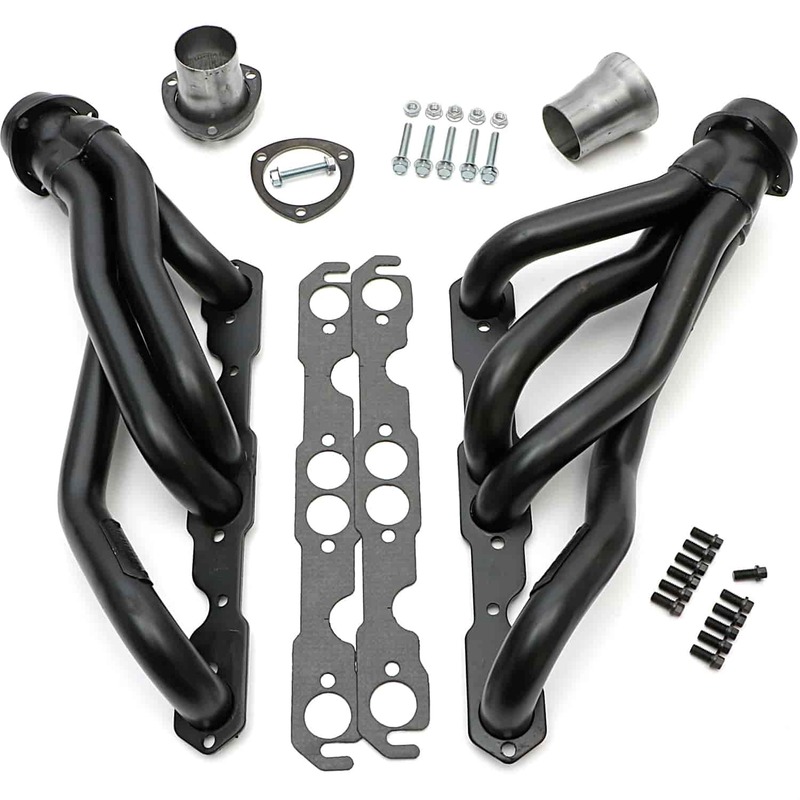 The factory black paint applied to uncoated headers is not hi-temp, and is for pre-installation protection only. Does Hedman 68600 fit your vehicle? 68600 is rated 4.7 out of 5 by 3. Rated 5 out of 5 by Dragracr 99 from The Right Stuff Replaced a destroyed 430cid in my 1967 Buick Skylark with a small block Chevy. Tried several different headers lying around the shop with no success but noticed a set of Headman headers in the Jegs on line catalog that looked right. I purchased them and had them in just a few days and to my pleasure they fit the build absolutely perfect. Rated 5 out of 5 by Anonymous from Perfect fit for my Malibu Perfect fit, perfect install, perfect sound. Always pleased with Jegs and Hedman. Five minutes per side. Highly recommended for g bodys with center crossmembers.